The implications of a dryer than average autumn and late seasonal break were seen in lamb growth rates during May and June. Compared with years with April autumn breaks, the re-growth of Winfred brassica was slower requiring longer rest before grazing. As well, lamb growth rate were lower than achieved in other years. It seemed to me that the brassica was less leafy and less palatable than in other years despite similar fertiliser topdressing. 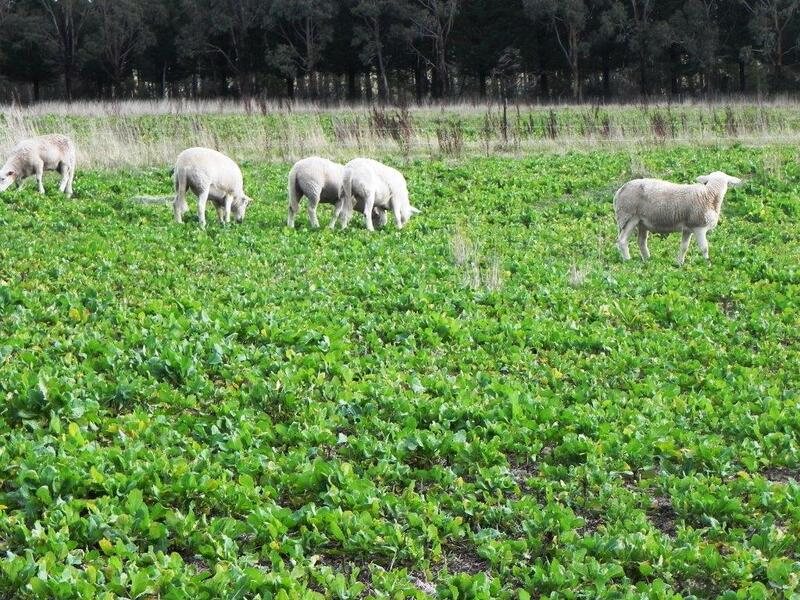 Brassica lambs were growing at 100 – 200g/day, significantly less than other years when 200 – 300g/day was normal. However, performance did change during July, when growth rates returned to the 200 – 250g/day level. Figure 1: Our dry autumn restricted brassica regrowth and seemed to affect it palatability until mid winter. Photo 13 June 2018 Patrick Francis. 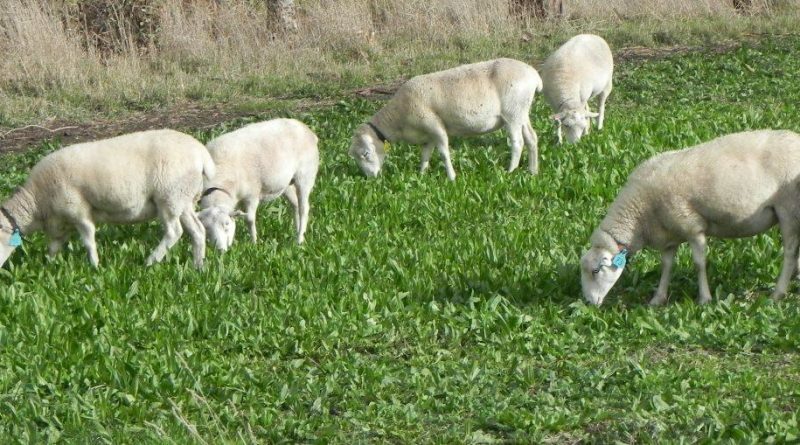 The growth rate story was better during autumn when lambs grazed our special herb based pastures consisting of chicory, plantain and lucerne. Growth in the 200 – 300g/day range was achieved but due to limited area available could not be maintained for long. As well, these special pastures are not designed for winter growth so their recovery after grazing was slow. Figure 2: One of the new chicory and plantain based herb pastures was still providing high quality nutrition in June. Photo 6 June 2018, Patrick Francis. In contrast to the special pastures, the improved multiple perennial grass species pasture with its winter active and summer active varieties responded quickly to the autumn break and by late-June had grown around 3000kg green dry matter per hectare when lambs were introduced. What stands out with this pasture is the contribution to growth performance by newer winter active cocksfoot and tall fescue included in the mix. We also include phalaris and brome grass which also contribute to winter growth. Our approach to pasture renovation since we started a new round in 2016 is to include multiple varieties to embrace summer active and summer dormant (or winter active) perennial grass species. Our mix includes nine perennial grasses, two herbs, and four sub and perennial clovers. Back in the 1990’s when we started pasture renovation to replace bent grass, sweet vernal and Yorkshire fog grass, the suite of improved varieties available was limited and we aimed for summer active perennials, but these are not as prolific growers as the winter actives now available to sow. Figure 3: In our new round of pasture renovation, multiple perennial grass species are sown. The summer active grass species component respond to storms and produce high quality nutrition for finishing lambs during autumn. Photo: 20 April 2018 Patrick Francis. Outside of the new multi-species pastures and special herb based pastures the growth in the “old” pastures was limited by the late break and lambs were slower to reach Meat Smiths carcase weight (22 – 25kg) requirement during winter. Our approach is to work with what nature provides and do not use supplementary feeds to speed up weight gain over winter. If pasture growth is not as fast as in other years, that is not a reason to change management practices. Consumers expect a pasture raised lamb from Moffitts Farm and if that takes a little longer to achieve in some years such as this, well so be it. As for the ewe flock, condition score during mating in March was 3 or better meaning the ewes were is optimum condition. This score condition score was held through autumn and winter without supplementary feeding by maintaining a regular rotation through paddocks. An important advantage of rotational grazing bulky perennial grasses is their ability to regrow once stock are removed. These plants build an energy reserve in the roots which is used to initiate growth during rest from grazing. Despite the cold winter conditions experienced in the Romsey district, perennial grasses will continue to grow provided they have the opportunity to build root energy reserves. Some extra nitrogen fertiliser applied after a graze also helps to encourage grass growth in winter, because low soil temperature means nitrogen mineralisation due to soil food web activity is severely curtailed. 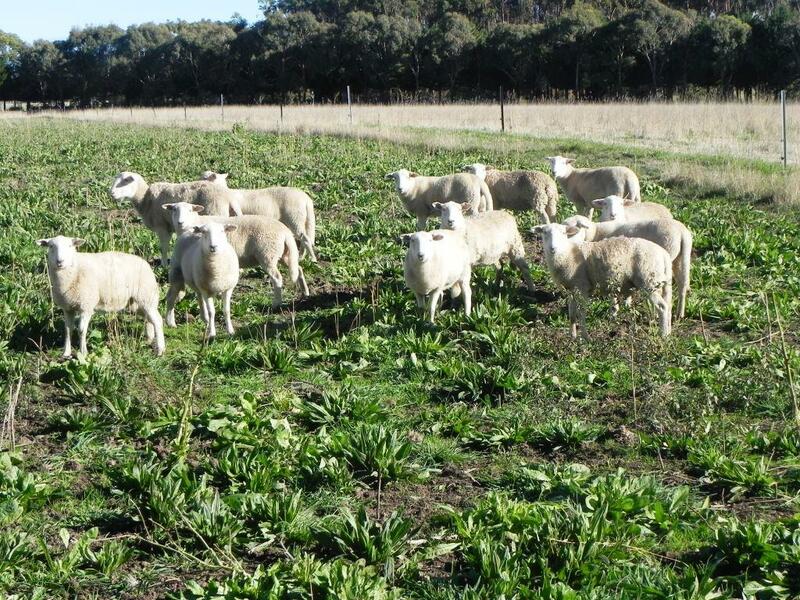 Our herb species paddock which in winter are dominated by plantain provided an extra energy boost for ewes and helped maintain their conditions scores. The chicory component of these herb pastures is not growing actively during winter, it starts to make a significant contribution in mid spring and with summer rain keeps growing through to mid autumn. 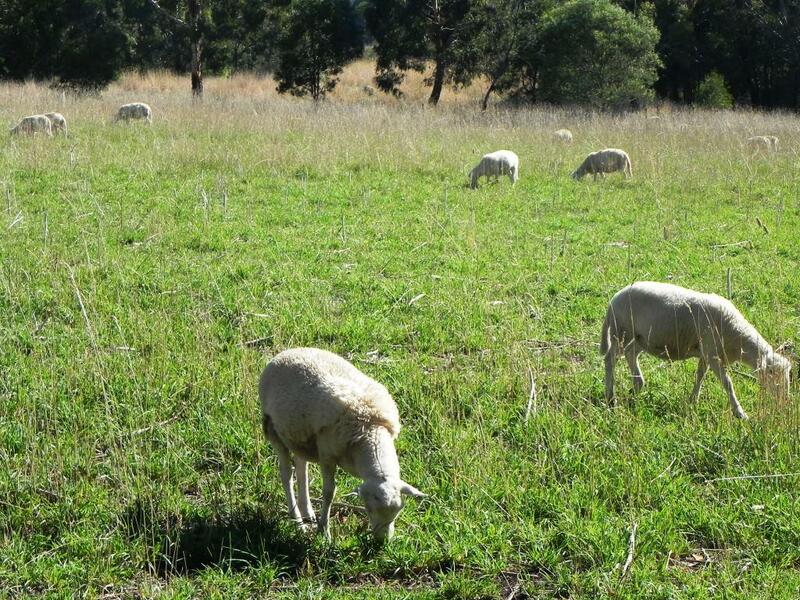 Figure 4: Despite the dry autumn ewe condition scores were maintained by ensuring pasture rotations were continued to give perennial summer active varieties the opportunity to regrow even on limited soil water. Photo: Ewes rest in a 1990’s sown Porto cocksfoot dominant pasture with a reasonable quantity of green leaf, 20 April 2018, Patrick Francis. In autumn, ewes and weaned lambs were tested for internal parasite worm eggs and results showed no anthelmintic treatment was required. This result is greatly assisted by our pasture grazing rotation which ensures worm larvae intake in minimised. The rotation also means livestock nutrition is optimised and even if larvae are present in the intestinal track they have little impact on livestock health. Four weeks prior to lambing ewes receive their one anthelmintic treatment for the year. We contend that this treatment is important for welfare as lambing and lactating ewes lose their tolerance to worm larvae until weaning their lambs. If larvae number build up quickly they can induce disease symptoms at the time ewes are under nutritional stress to meet lactation demands. 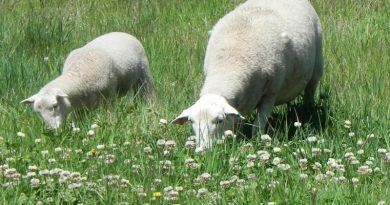 The larvae shed by ewes are also ingested by their lambs once they start consuming pasture at around three weeks of age. Another strategy we employ to reduce impact of worm larvae on ewe health post lambing is closing off lambing paddocks from grazing for three months. Not only does this minimise worm larvae available for ingestion, it also means the pasture bulk and height is such that ewes are not grazing in the larvae zone. Research shows that larvae can position themselves up to 5cm high on the leaves. 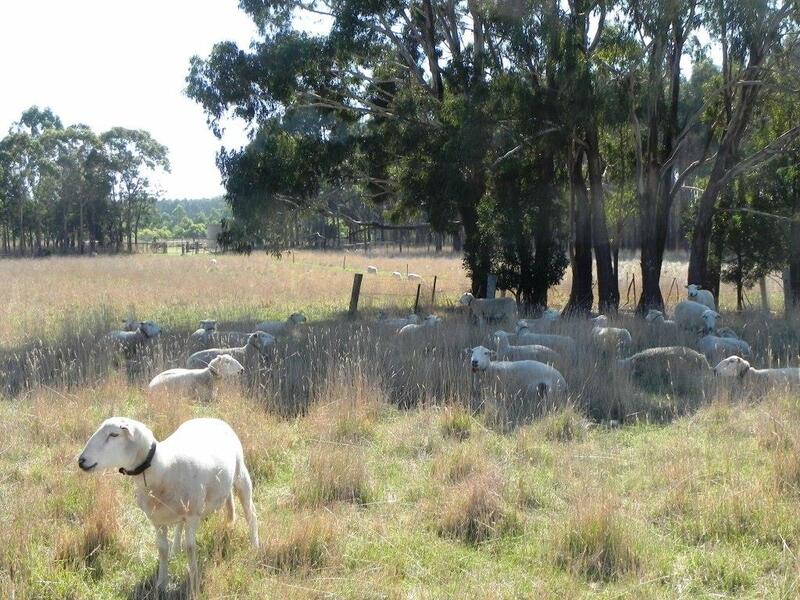 Our rested lambing pastures have pasture height of 15 – 30cm. Figure 5: The herb plantain makes and important contribution to pregnant ewe nutrition during winter. Photo: June 2018, Patrick Francis. • The ewes have maximum feed available per bite meaning their nutrient intake pre and post lambing is optimum. • The height of the pasture means lambs have wind free zone within the pasture canopy. This is critically important for lamb welfare as the Romsey district has one of the severest wind chill conditions in the state through July, August and September. Wind chills below zero C are common through these months due to strong north and south westerly winds during these months. 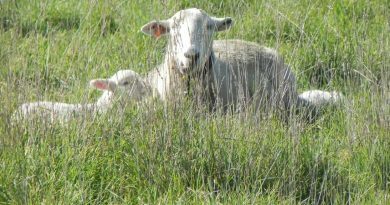 We refer to the wind free zone provided by tall pasture in the lambing paddocks as micro shelter. In contrast the macro shelter provided by conservation corridors can be beneficial but can also present problems at lambing if ewes congregate behind the shelter belter and give birth there contributing to mismothering as new born lambs wander off to follow other ewes congregated in the shelter. Macro-shelter does not provide the private birthing areas and in-paddock ewe nutrition that micro-shelter provides. 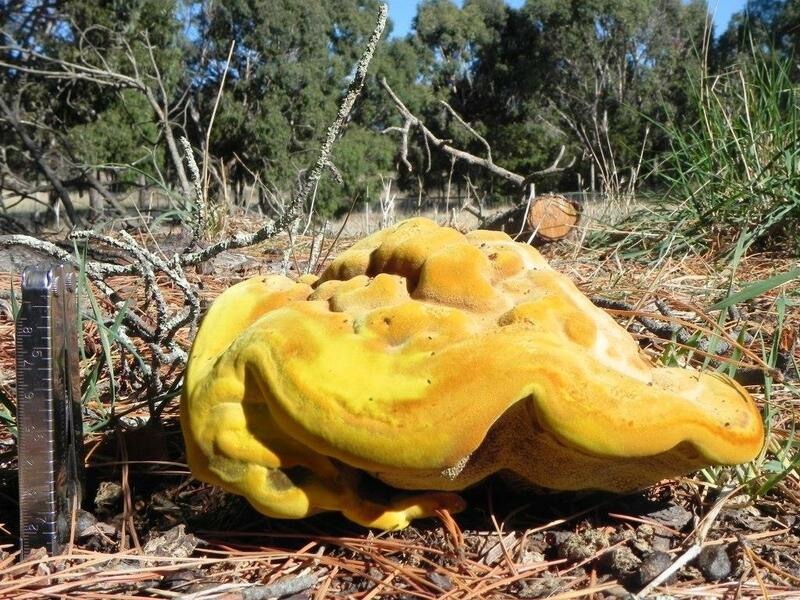 This magnificent fungus fruiting body grew under a pine tree. 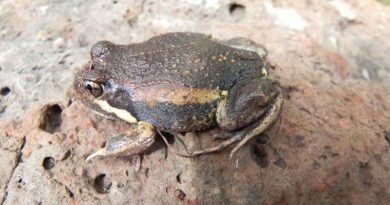 It is approximately 8 cm high and 12cm across. Photo: Patrick Francis, 20 April 2018. 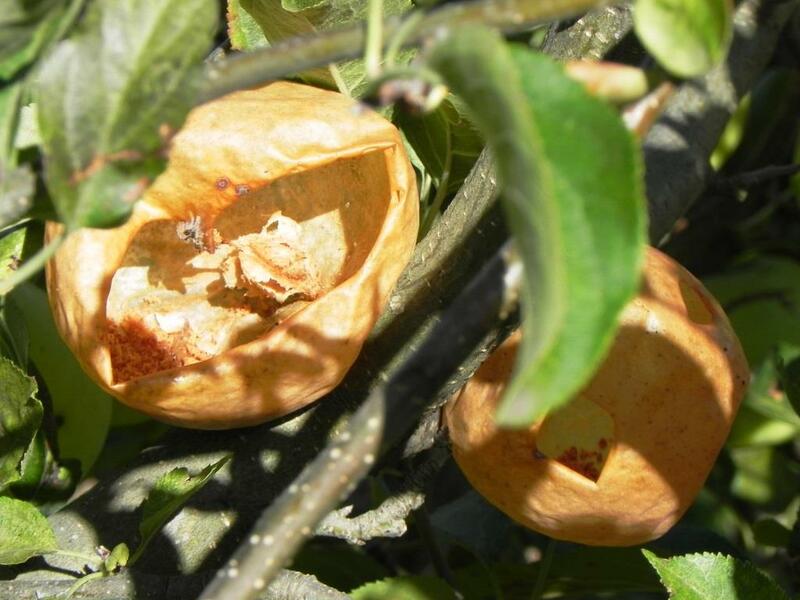 The European wasp is an unwelcome pest, but its skill in eating out an entire apple while leaving the skin and core intact is impressive. Photo: Patrick Francis April 2018. ← Live sheep exports – Where is evidence WA sheep farmers rely on it for business survival?